The most popular TV channel in Latvia – TV3 (http://skaties.lv/tv3/) – has started 2017 with a new Sunday evening show to uncover disinformation. This is the first time that a regular TV show about disinformation is offered in a prime time TV slot. 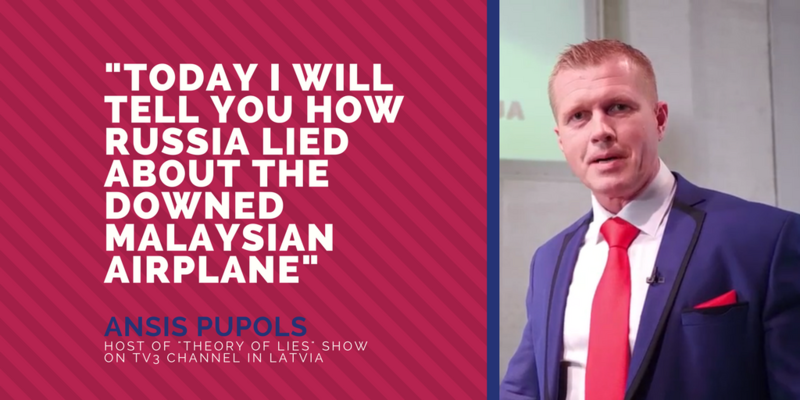 The first episode of the “Theory of Lies” started with well-respected investigative journalist Ansis Pupols introducing the key topic: “Today I will tell you how Russia lied about the downed Malaysian airplane”. Mr. Pupols outlined facts proving that the MH-17 plane was shot down with a BUK missile system that entered from Russia – conclusions from the Joint Investigative Team, Bellingcat research, recorded separatist telephone conversations and then showed the extracts from Russian TV channels putting forward numerous fabricated theories in the aftermath of the incident. 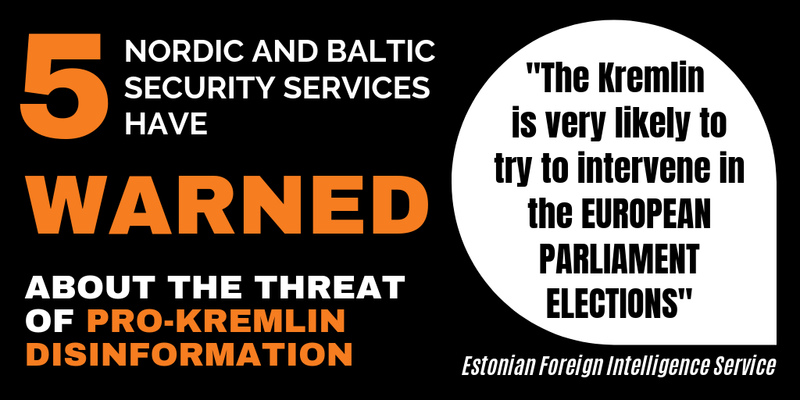 An invited expert from the Center for European Policy Analysis explained that numerous theories helped Kremlin to create noise and distract the attention of audience in Russia and abroad from the truth. 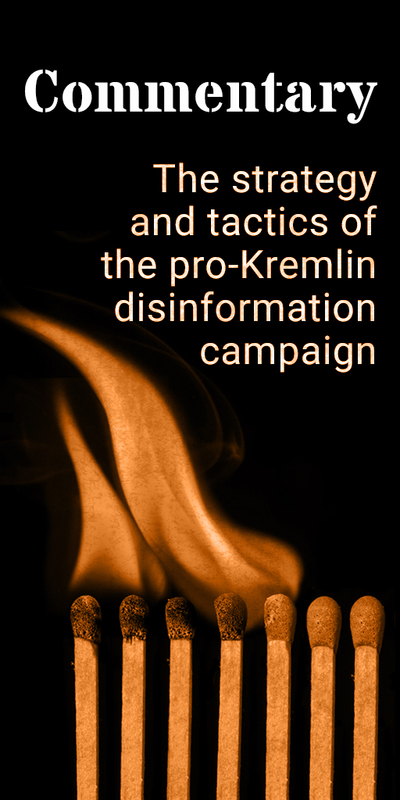 This is an issue that the Disinformation Review has covered in the past, see our article Nine ways to confuse us about MH17 and an in-depth analysis below. The sleek show with animated graphics supporting the arguments left no doubts to the viewer that the disinformation in Russian media is part of Kremlin’s strategy to influence public opinion. The first episode was watched by many Latvians on Sunday evening. The following seven episodes promise to highlight the notorious crucified boy case, scaremongering with refugees and other disinformation stories. The case of flight MH17 is a good example of how disinformation seeks to provide many alternative false explanations in order to question belief in what really happened, and attempts to absolve those who committed this horrific act from responsibility for their actions. On 17 July 2014 Malaysia Airlines flight MH17 crashed in eastern Ukraine. 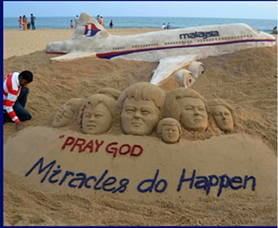 The plane was en route from Amsterdam to Kuala Lumpur. All 283 passengers and 15 crew members were killed. 5. MH17 was in fact flight MH370, which disappeared in March 2014 in Asia, a claim based on the suggestion that no relatives of those killed on board MH17 had been identified (News2: http://bit.ly/2eGpWNO). 7. Two years later, the Russian Ministry of Defence presented a different set of radar imagery. 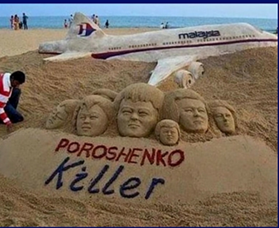 In addition, photo-shopped images were used to support the Kremlin’s narrative on MH17. See for example the below images, the first an original Reuters photo, the second a faked version shared on Facebook http://bit.ly/2hj9GDe; and a report on this pro-Kremlin fake here: http://f24.my/2i5LN2a. The task of conducting the criminal investigation into the downing of MH17 rests with the international Joint Investigative Team. This comprises representatives of the Dutch Public Prosecutor’s Office and National Police, together with police and judicial authorities of Australia, Belgium, Malaysia and Ukraine. Its aim is to establish the facts, identify those responsible for the crash and collect evidence which can be used in court. The technical report of the Joint Investigative Team concluded that the missile that shot down MH17 was fired from a Russian vehicle that crossed into Ukraine and then back to Russia again afterwards: http://bit.ly/2d980Nz. Recordings from intercepted phone calls and multiple eye-witnesses have substantiated their findings. An earlier investigation performed by open source investigator BellingCat also reached the same conclusion: http://bit.lyeqcg9r. Shortly after the downing of MH17, Russian TV channel Lifenews reported that pro-Kremlin separatists had shot down a Ukrainian Air Force plane AN-26, showing video from the scene of the attack. The video was later deleted and Lifenews changed its story to place the blame on the Ukrainian Airforce (see both original, deleted report and later changed story here). The “separatist” leader Igor Strelkov-Girkin published a similar post on VKontakte, claiming responsibility for the attack. In it, he comments: “We warned them not to fly in our sky.” This post was also later deleted. Carlos, the mysterious air traffic controller, has not materialised. Bellingcat has demonstrated that the two different sets of radar imagery presented by the Russian Ministry of Defence, first in 2014 and then in 2016, are incompatible with each other.